With Valentine’s day quickly approaching I thought I’d show another couple of lovey designs that I made with the New Release at The Cat’s Pajamas. It’s such a fun one! This first design was one that I thought would work for Valentine’s, but also even for a new baby boy. I used TCP’s new Small Envie CutUps Die cutting it in vellum and putting a sweet little Nested Heart CutUps Die inside that I had stamped with our new Conversation Hearts stamp set. Then I just took some pieces of designer paper (Echo Park - Little Man), rounded the corners and added some accents. I used White Craft ink on the wood veneer elements to give them a better match to the design. Oh I just love how that sweet little envelope looks! 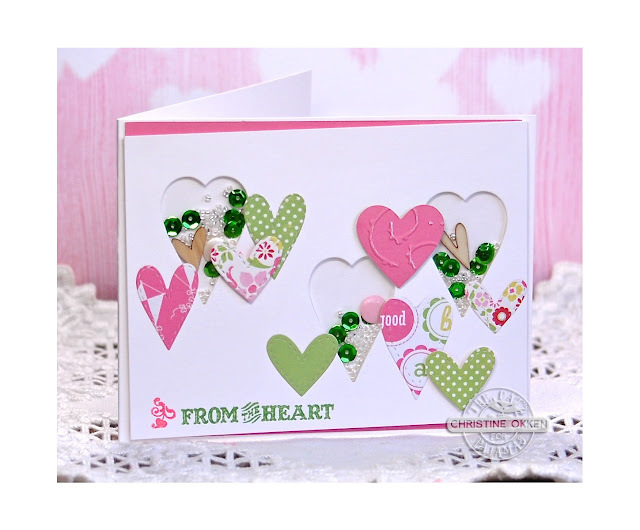 Next up is a very lovey design also using the Nested Hearts CutUps Die, but in a much more feminine way and incorporating a shaker design. I used the dies to create some negative cut outs and filled them with some microbeads, sequins and wood veener hearts. 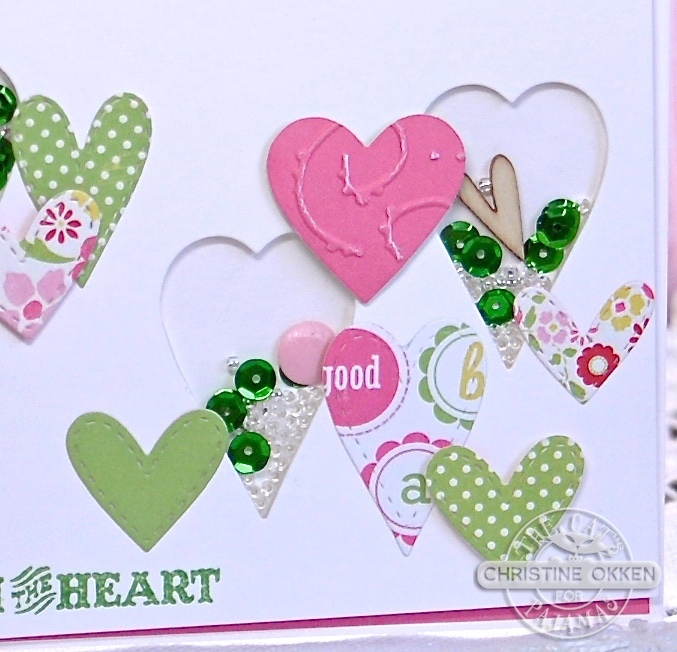 Then I added some more hearts in patterned paper (Echo Park - Bundle of Joy). The sentiment is from TCP’s Word’s of Love. And there you have it, some more LOVE to inspire you! By the way....there’s two fun challenges going on over at TCP right now. 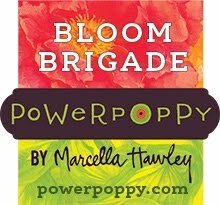 One is the January Blog Hop where you could win a $50 TCP Gift Voucher! And next you could jump in on our TCP Tuesday Challenge Anything Goes....a great way to get some Cat’s Cash for the store. Two absolutely gorgeous and creative cards Christine! One for the guys and one for the girls. Fabulous! Oh, two adorable cards that one has to "heart"! 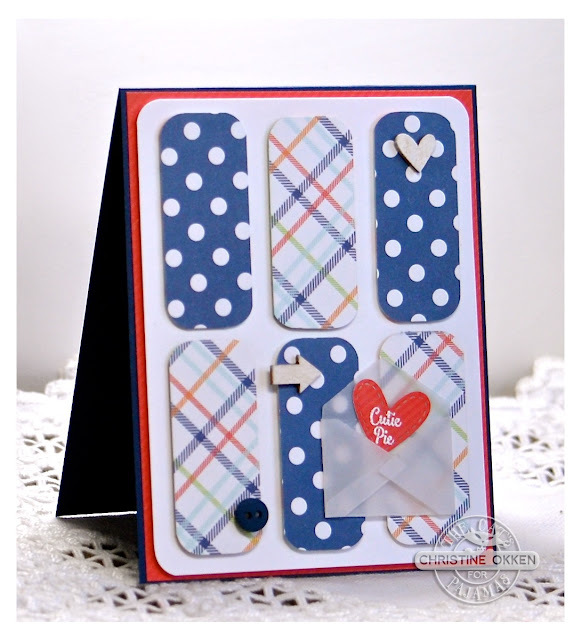 Just love the shaker card and also the other one with the shaped papers and the vellum envie! Sweetness! Hugs!